So much for Google giving Obama special treatment or backing his campaigns - the U.S. Federal Trade Commission (FTC) is expected to move forward in a detailed anti-trust investigation on Google's business practices. Federal regulators are poised to hit Google Inc. with subpoenas, launching a broad, formal investigation into whether the Internet giant has abused its dominance in Web-search advertising, people familiar with the matter said. 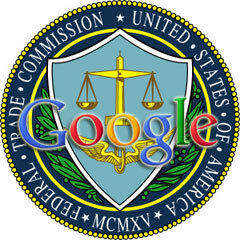 The people familiar with the matter said issues in the FTC probe are expected to include whether Google searches unfairly steer users to the company's own growing network of services at the expense of rival providers. Some companies complain about the way that Google ranks its own services in its "natural" search results, or the amount it charges them for placing ads, claiming its market power gives it the ability to determine whether businesses succeed or fail. Google is not new to smaller antri-trust probes and talking to the US government but this seems to be something that Google has never met before - at least at this scale. It makes Google look Microsoft-like, which is very upsetting to many Googlers, in my opinion. That being said, there is a lot of opinion on this topic from smarter people than I. Check it out at Techmeme. Personally, I think it is a waste of tax dollars - but heck, what do I know? Forum discussion at WebmasterWorld & Google Blogoscoped Forums.